Light pollution: How does it impact people? 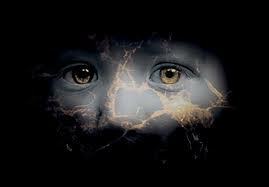 As you’re probably aware, humans don’t see very well in the dark. This has lead to our various efforts to brighten the night allowing us to function better when the sun goes down. Whereas, a little and healthy amount of light can be good, going over the top has a slew of negative impacts on human health and safety. Being exposed to light at night has been shown on a multitude of occasions to be linked to obesity, depression, sleeping disorders, cancer, and others. Overlighting has two main safety concerns, glaring and exaggerated darkness. Bright points of light from poorly designed roadway lighting produces a condition known as “disability glare.” Disability glare is so intense that it causes us to avert our eyes from the veil of light being scattered across our retinas. This condition can temporally cast everything except the light source into virtual invisibility. Older drivers are especially vulnerable to disability glare because as we age the eye loses its ability to quickly adjust to changing levels of illumination. Fully shielded lighting reduces this hazard and creates a safe and more pleasant driving experience by distributing the light more evenly and directing the light to the roadway instead of the eyes of the drivers. In ancient times, and even in some modern warfare, an effective strategy involves bright lights at night. If a bright light is positioned in front of your troops, the enemy is effectively blind to anything happening behind the light. In addition, the light disrupts the enemy’s night vision so, when your surprise attack commences, they could be visually impaired. In today’s society, the principles still apply for overlighting in our cities. People with nefarious intentions can use the light to their advantage by hiding in the negative space created by the blinding light. In addition, by positioning themselves in dark areas (like ally-ways) they can become very difficult to see for someone who needs to cross through the ally for whatever reason. This is yet another problem that can be combated with fully shielded lights that are designed to cast light specifically where it’s most effective. After issues of safety, light pollution has a wide range of negative effects on human health such as disrupting our circadian rhythms, messing with our melatonin levels, and generally contributing to sleeping disorders. The 24-hour day/night cycle, known as the circadian clock, affects physiologic processes in almost all organisms, including humans. These processes include brain wave patterns, hormone production (melatonin), cell regulation and other biologic activities. 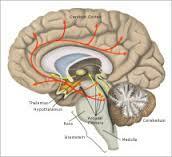 Disruption of these rhythms can result in insomnia, depression, cancer, and cardiovascular disease. 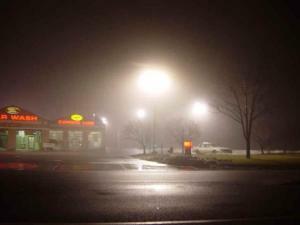 In 2012 the American Medical Association has recognized light at night as a carcinogen and a health risk. 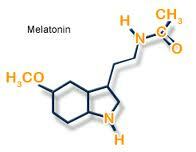 Melatonin is a naturally occurring hormone which is released by darkness and inhibited by light. It serves many functions in the human body, primarily regulating the daily cycles of our systemic activities. 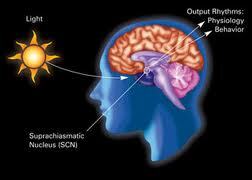 Reduction or elimination of light at night can help maintain a robust melatonin rhythm. While any kind of light can interfere with melatonin production, the short wavelength, blue portion of the spectrum is the most potent for melatonin suppression in humans. Exposure to the artificially extended daytime of our lighted modern world can lead to desynchornization of our internal rhythms. According to the National Institution of Health (NIH), a shift in our clocks impairs our ability to sleep and wake at the appropriate times and leads to a decrease in cognitive and motor skills. A good night’s sleep helps reduce weight gain, stress, depression, and the onset of diabetes. The NIH believes humans function best when they sleep at night and act in the daytime. If outdoor light is shining into your window and disrupting your sleep, it is recommend you block out the light or request that the light be shielded for everyone’s benefit. The scientific community is studying the range and complexity of circadian disruption and the role of melatonin suppression from too much artificial light at night. Scientists are finding an undisputed connection between sufficient sleep and good health. Moreover, they are recognizing the importance of exposure to daylight during the day and darkness at night to maintain a routine circadian rhythm. The World Health Organization now lists “shiftwork that involves circadian disruption” as a probable carcinogen and the American Medical Association has recognized it as a carcinogen and health risk. 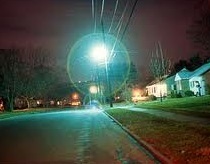 On 15 June 2009, the American Medical Association also adopted resolutions that support the reduction of light pollution and glare and advocate for use of energy efficient, fully shielded outdoor lighting. Ongoing research continues to probe the connection between natural darkness and human health. NASA to Wrangle an Asteroid?